Over the years, in response to our clients' needs, and following several major acquisitions in the mid 80's, we have grown to become what we are today, a versatile insurance organization providing a full range of integrated insurance, reinsurance and risk management services. MEPA offers Insurance and reinsurance solutions to multinational Corporations around the World. MEPA is also advisor for a wide variety of Organizations on evaluating and controlling risk. Our track record is strong with an international reputation for creativity and innovation. 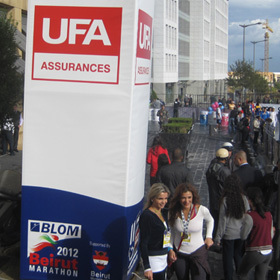 UFA Assuranes is a supporter of the Beirut Marathon Assocation and has sponsored the BLOM Marathon 2012, BDL Beirut Marathon 2013 and will be sponsoring BDL Beirut Marathon 2014 as part of its mission to inspire unity, promote wellness, and provide an experience of challenge, achievement, joy, and glory; for the benefit of Lebanon. 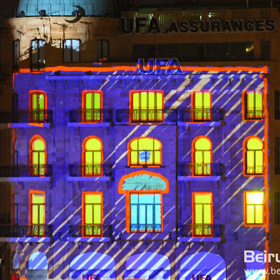 UFA Assurances organized the UFA 3D Mapping Event that was held from the 22nd to 31st of December 2010 at Martyrs’ Square. Copyright © 2014 UFA Insurance. All Rights Reserved.